I can't believe swimming weather is right around the corner! We're thinking of joining a pool this summer, and in addition to that we always take several trips to the beach (including our week-long one! 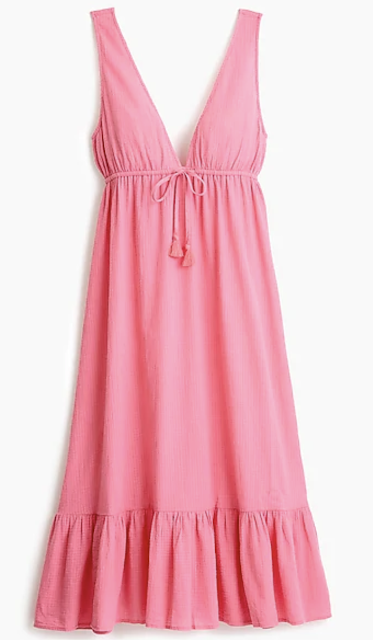 ), so even though I'll be massively pregnant I needed to get at least one bathing suit I can chase after the kids in. 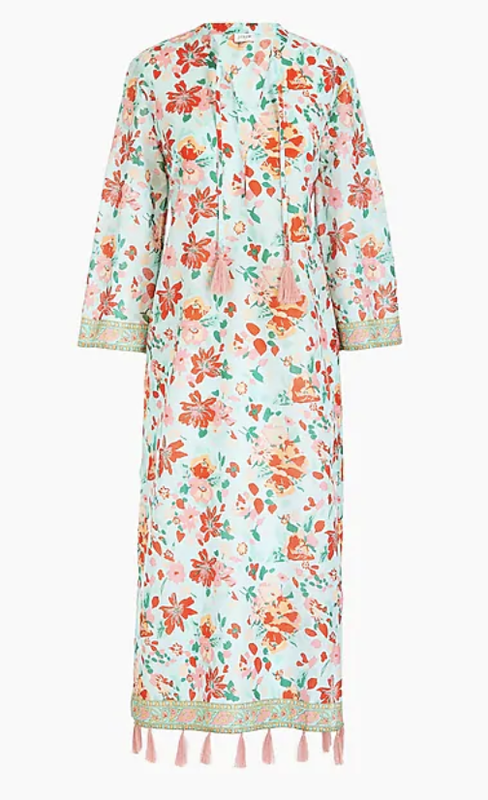 I ended up going with this one, and got it when it was on sale like it is today, so it was a steal! The crochet detail on this suit is so cute, and I love the color. Plus, the back is just as fun as the front! I love the simple scallops on this suit, and this pinky-purple color is so, so pretty. The price on this one is so good. 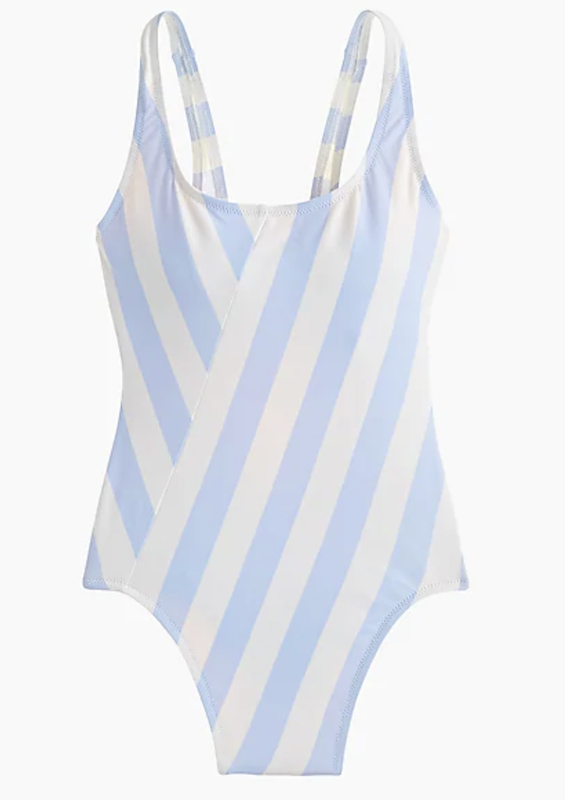 Loving the beachy colors on this suit, and the back is super cute. For a simpler style, I love these sporty stripes and think the pattern would be really flattering. Still available in several sizes at $38! I haven't really seen another swimsuit quite like this one -- it's fun and classic at the same time. The black and white makes it timeless! I think this suit is the prettiest I've seen. I love everything -- the detail, the color! 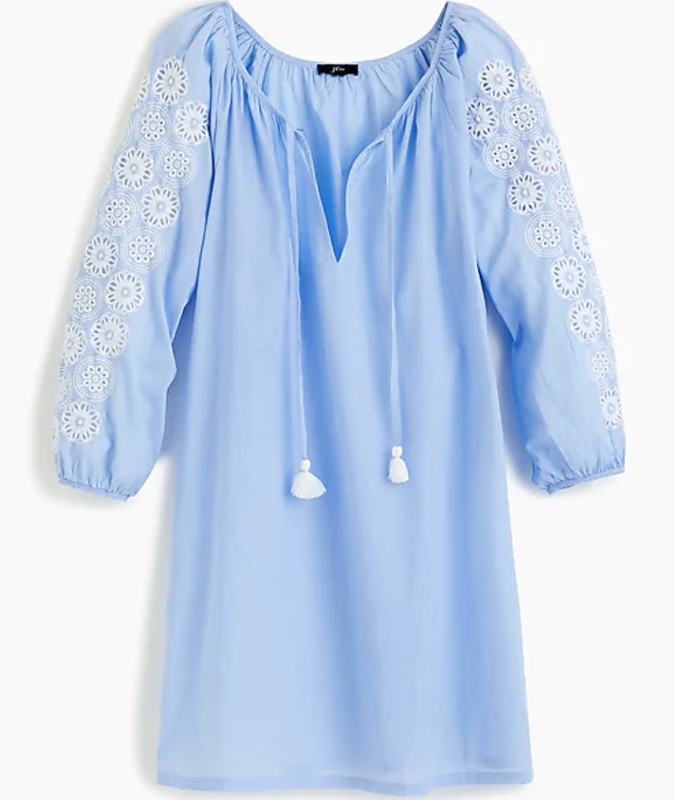 This J.Crew beauty is on sale for $14! Also comes in white and navy (a few dollars more). This one is only available in a medium right now, but for $16 -- I loved it so much I had to include it in case a M is your size! For a longer option, I don't think you can beat this beauty. The colors, pattern, and tassels are perfection. Do you have some fun in the water planned for this summer? I love hearing about the ins and outs of various careers. It's always interesting to learn about how people spend their days, what the behind the scenes of their job is like, how they got into their position in the first place. I often think about all of the different jobs there are and how each one makes the world function in some small (or big) way. In light of graduation season, I thought I'd share a little bit about my job, in case you're a new graduate or just a curious person like me! This spring marks ten (!) years since I graduated from college. I graduated with a Bachelor of Arts in Communication Studies. A lot of people aren't sure what that major really encompasses, and one of my favorite things about the major I chose is that it actually encompasses quite a bit. Little known fact: I began college at a different university than the one I graduated from (any other transfer students out there?) and I was a Journalism major my freshman year. Magazine journalism, to be exact! That was always my dream, but the media landscape has changed so much that I'm actually grateful for the way my path ended up shifting. My Communication Studies major gave me the chance to learn about journalism, public relations in various capacities, marketing in various capacities, and other courses studying how humans communicate including non-verbal (my favorite class! ), political, and health. Straight out of college I held a year-long, full-time paid internship at Auntie Anne's Pretzels (yep, those yummy, doughy treats you can't resist at the mall) as a Public Relations Assistant. It taught me SO much, and I'd highly recommend a similar internship to new graduates. I wasn't fetching coffee, I was truly a part of the public relations team and I'm not sure I could have grown in my career as I have if I didn't start there. Plus, I met one of my dearest friends! After almost two years there, a friend let me know about a job posting for a Book Publicist at a NJ-based company. 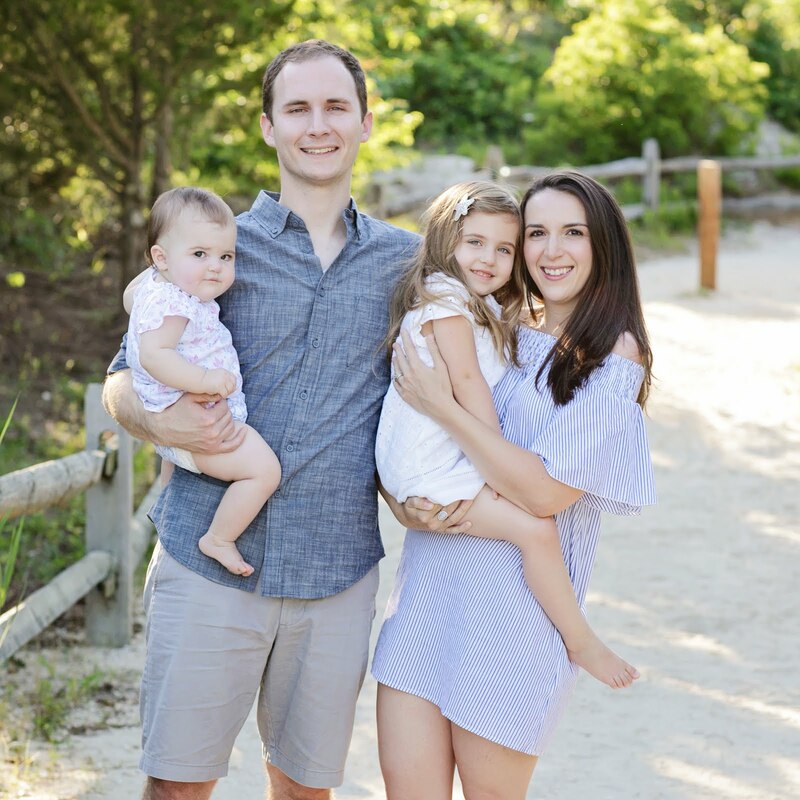 I was commuting 1.5 hours each way at the time while Steve attended law school full time (and worked part-time), and life was just a little crazier than I would have liked (or as crazy as it gets, pre-kids haha) -- plus, honestly, I was looking for a change. I was super intrigued by the Book Publicist position since I've always loved reading and writing so I figured I'd apply. Little known fact, and some encouragement for new grads: I did not get the job after my first interview! Someone else was hired for the position but they ended up not being the right fit so they called me back (thankfully) and the rest is history. 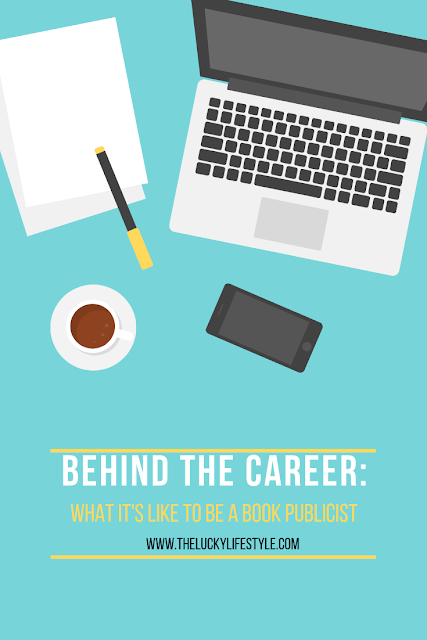 I think there's a lot of misconception about what a publicist actually does, and understandably. Most people I talk to -- especially after learning I'm in book publicity -- assume I'm in publishing. I'm not (although we work with publishers all the time!). The job of a publicist is to get publicity for their client, and in the case of our specific business, clients are mostly authors and industry experts. That means we want to get them noticed! And we use media to do that, whether it be traditional media (think newspaper articles, features in magazines, interviews on television and radio, contributed articles online, book reviews on blogs) or -- and this is a rapidly growing and changing space -- via social media and influencers. Every job has its challenges. 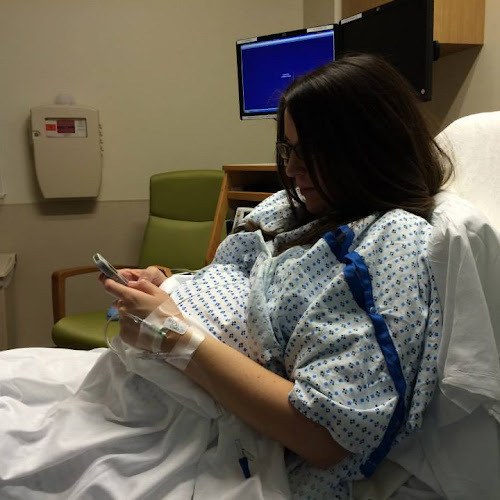 We fully recognize we are not performing brain surgery, but the challenges that come with being a publicist are still real (though a million times less dire). In my opinion the toughest part of the job is the fact that we can do everything right and still not have the media respond the way we'd like, or have a media opportunity fall through. Years ago, I had a client who was booked to fly from Canada to NYC for an appearance on The Today Show and they had to cancel the day before the scheduled appearance. That's always hard to navigate (and not fun news to deliver! ), but it is just part of the job. I love writing (shocking seeing as I have a blog, right? ;)) -- both persuasive writing and storytelling -- so this job is a great fit for me. We are constantly writing press releases, pitches, articles, and always communicating with our clients and the media. 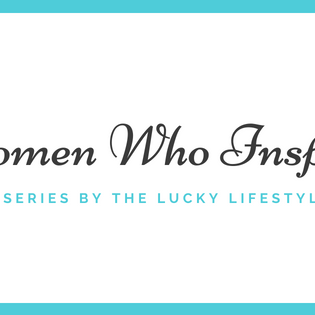 It is so exciting and satisfying to see the media positively respond to the way you have presented an author or expert, and watch that client gain exposure for their book or project because of that. Our clients' books are their babies -- so we are entrusted with that care, and we take that very seriously. But we also have a lot of fun! I have worked with well over 100 authors and have had a lot of different "favorite" projects. 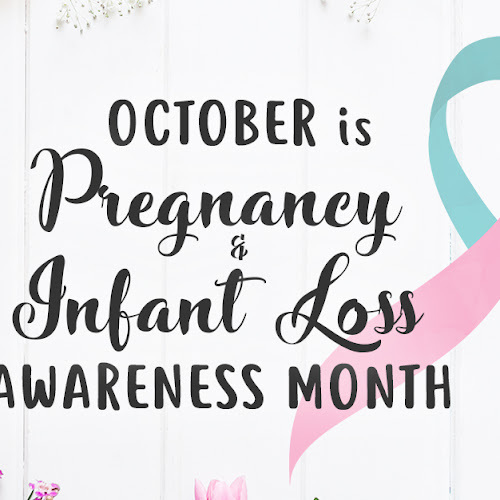 There is one, though, that made a true lasting impact on me, and that was working with the family of Charlotte Bacon, one of the tiniest victims of the Sandy Hook massacre. They wrote the most beautiful book (this one) with the hope of keeping the true spirit of Charlotte, and her love for animals, alive. We had some great placements for this book, but what mattered more than that was knowing that we were letting the world know about Charlotte, through the eyes of the people who loved her most in the world. I still read this book to my own kids often. Other highlights have included attending Book Expo in NYC (such a great event), and I can't help but think of my colleague and I riding around NYC in an Uber with the executive producer (now an older gentleman) of Saved by the Bell shuttling him to media appearances -- I laugh thinking about sharing my cinnamon gum with him, which he loved so much he requested two more pieces. My co-workers have also had some pretty fun experiences: like, one time, my co-worker was sitting behind me in the office and we realized she was just casually chatting on the phone with Alec Baldwin. No big deal! I think that about wraps it up! I'd love to hear what you do -- and in fact, I'd love to do a little behind-the-scenes post if you're willing to share more about your career and how you wound up there. It's fascinating (and helpful for others, especially new grads) to learn about different types of fields and positions. Leave a comment below to let me know what you do, and your favorite (or least favorite) part!